Just got back from some vacations and my submission for the week two at TNBT contest it`s due at midnight, so I was in a hurry.... the download links are now ready. Here is the preview, click to go to the contest and download.. No longer available. Les designeuses de SFF se sont réunies pour vous proposer un Blog Train spécial Saint-Valentin : "Valentine Me" et retrouvez pas moins de 18 produits à prix tout doux coordonnés. 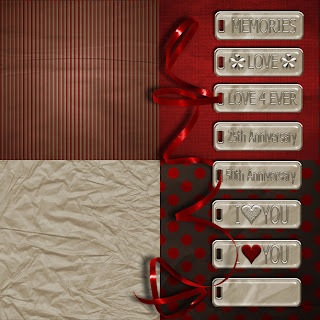 SFF's designers made some fantastic Blog Train called "Valentine Me" and find 18 coordinated products at low price !! So please feel free to join me in this grand opening sale and enjoy!!! Ooops!!! This week have been busy!!! Here is a compilation of my newest goodies... take a look!!! Now... I have a new FB Fan exclusive freebie... it this QP made with Summer Weather kit. It is included a 20% off coupon in the download. Hurry!!! because the coupon expires June 27th. This is Craft-tastrophic Designs by Ivonne Ivett... from Mexico to the world since Aug 2009. 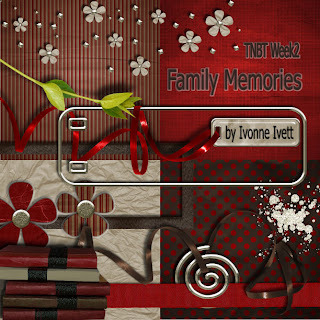 Digital designs for your scrapbooking needs.